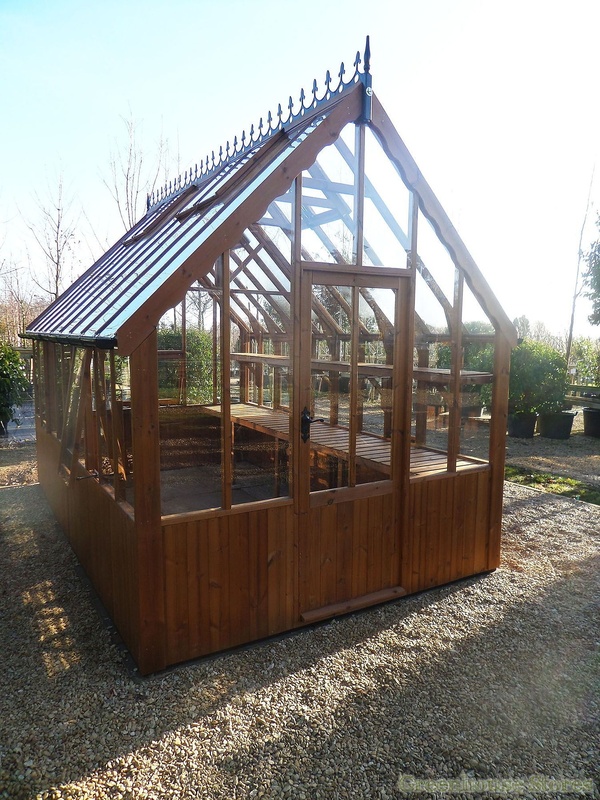 The brand new Swallow Eagle Greenhouse is a modern design based on the traditional Victorian glasshouses you would find in the very best gardens. 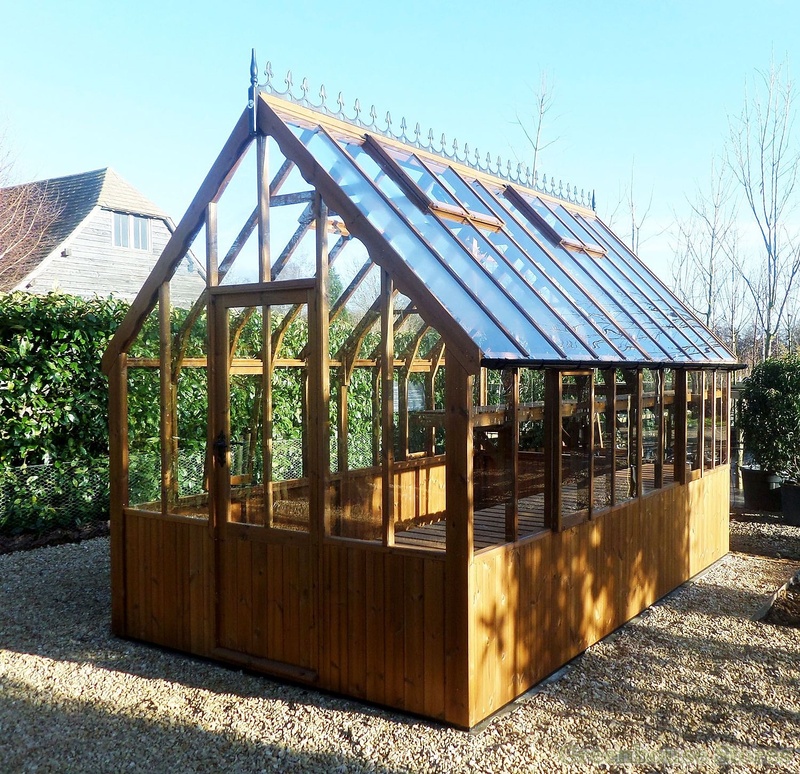 This is a traditional Victorian greenhouse design using only the best modern materials and manufacturing processes. 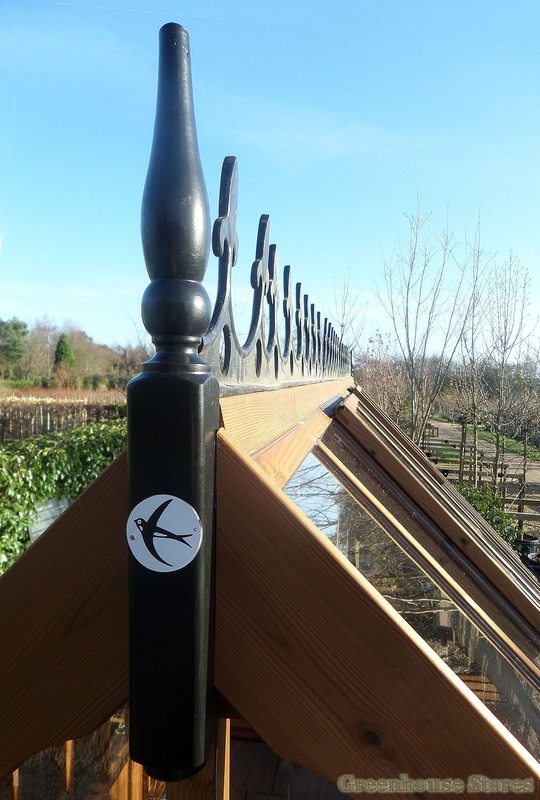 Each Swallow greenhouse is hand built in Yorkshire, delivered directly to you and installed in your garden. Just order, pay your deposit and we’ll do the rest! 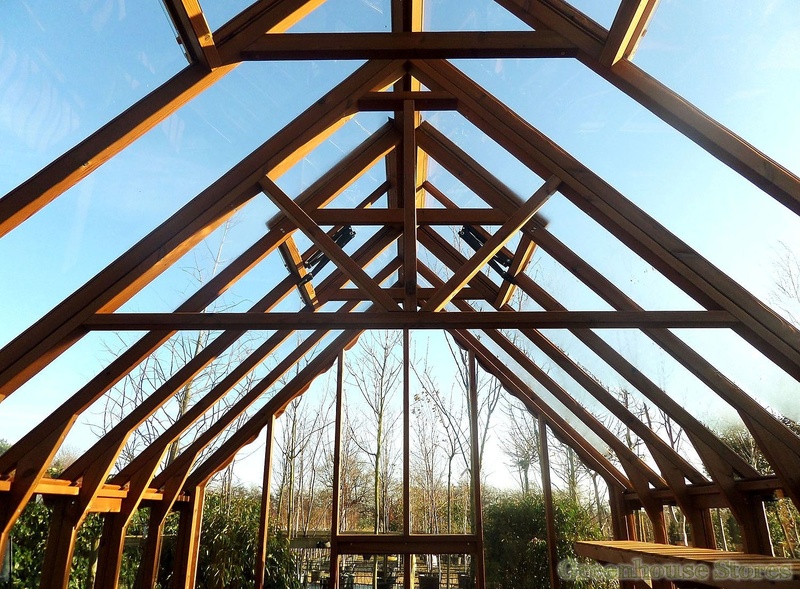 ThermoWood® Timber Frame is unique to Swallow Greenhouses. 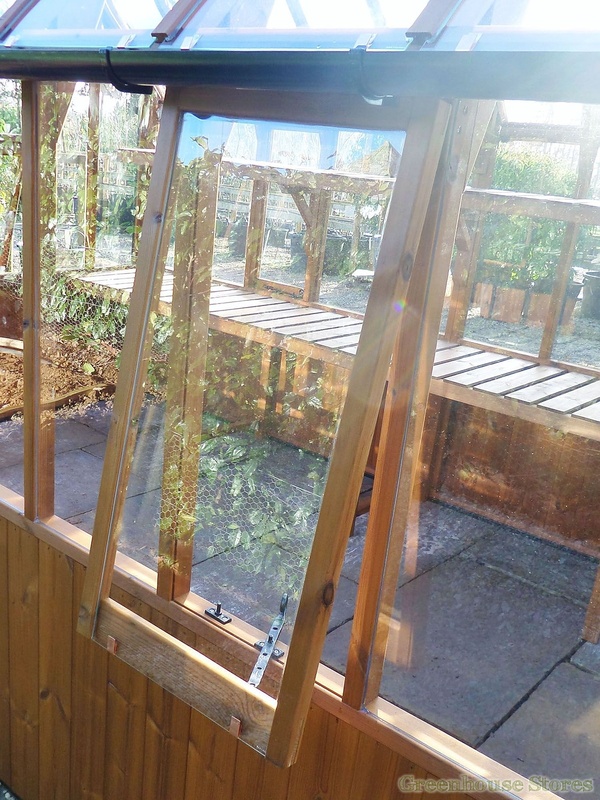 This high performance timber from Finland is perfect for wooden greenhouses. 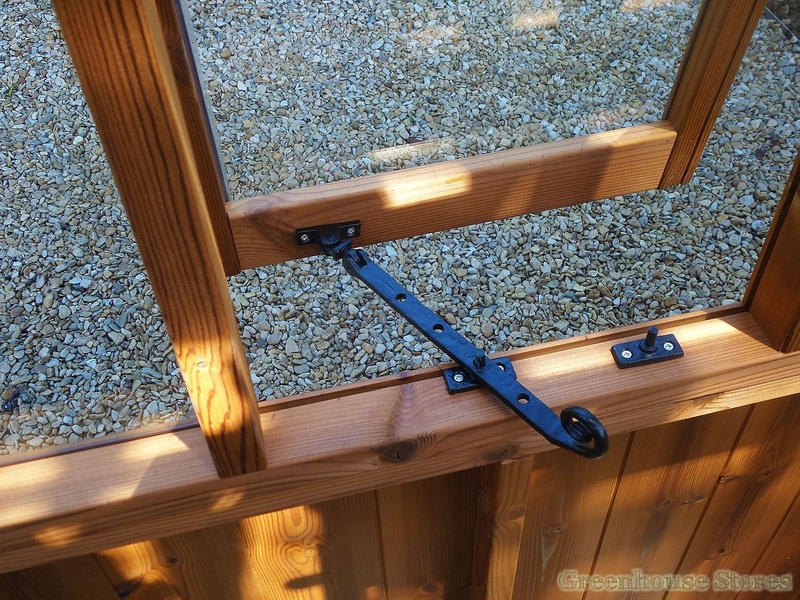 It’s heat treated to over 200 degrees to remove moisture and resin. 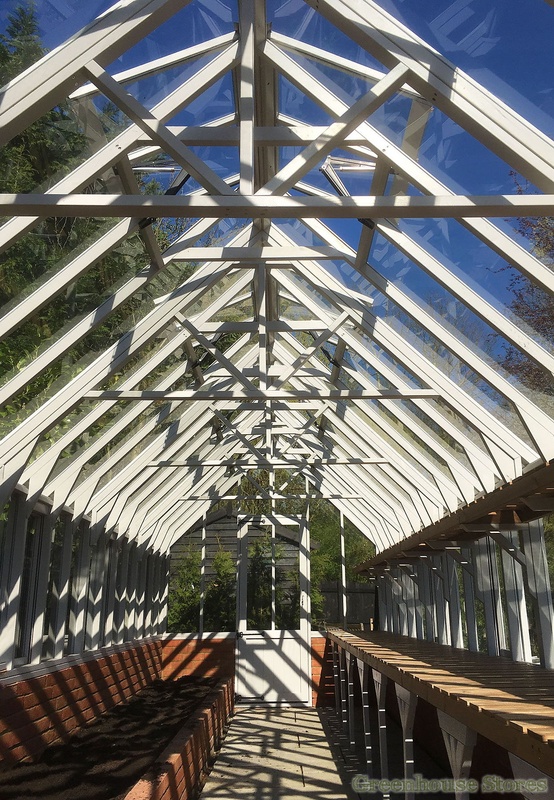 This process results in a consistently coloured timber, with improved dimensional stability and most importantly improved durability against decay. 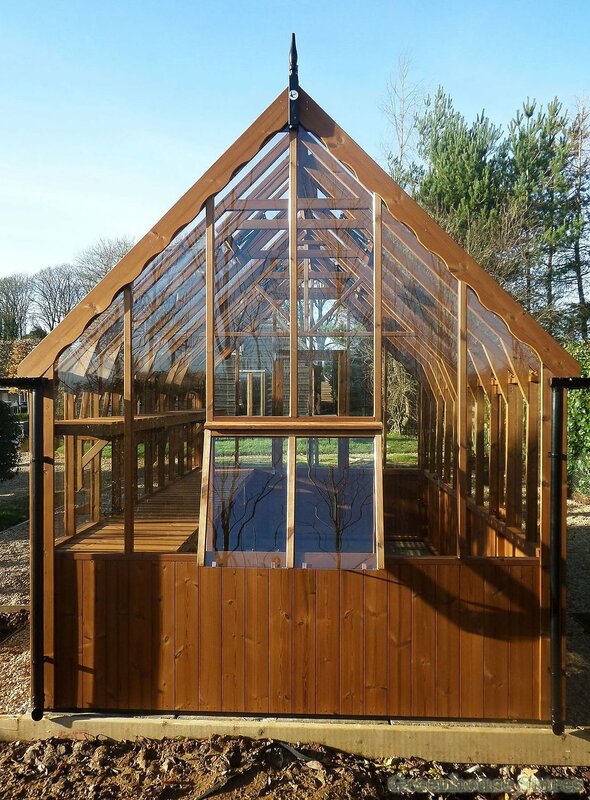 This a long lasting performance wood developed for exterior cladding of buildings in harsh Scandinavian weather, making it perfect for building tough wooden greenhouses. 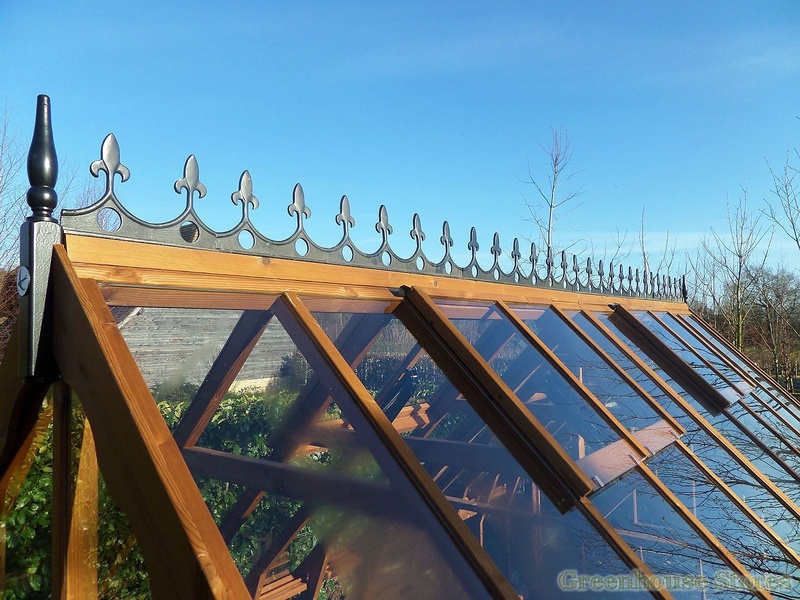 Wrought Iron Features make a big difference to the look of this greenhouse. 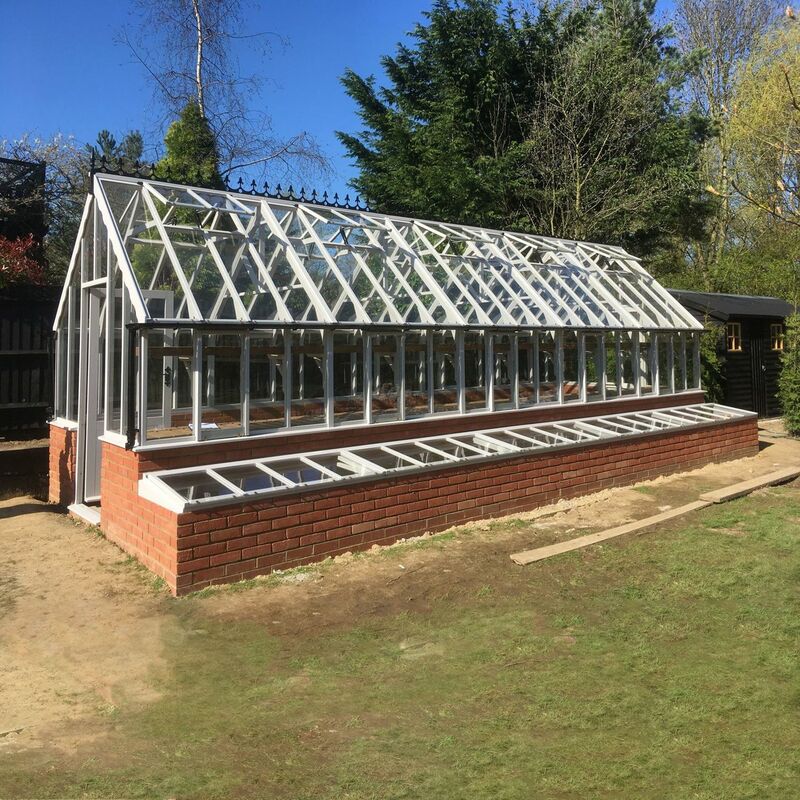 Because of the traditional Victorian design of the Eagle, the addition of wrought iron roof crestings, door handle and side window latches really complete the look of this greenhouse, giving it a solid feel as well as great looks. 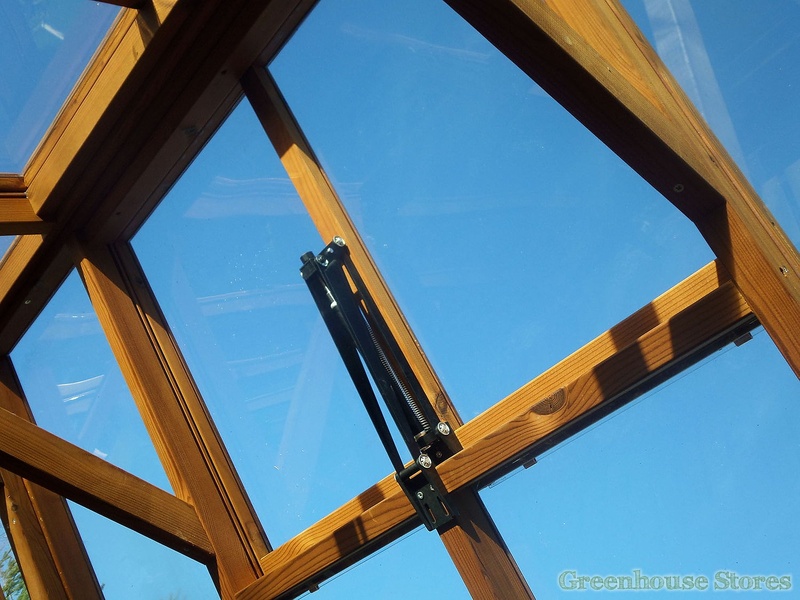 Automatic Roof Vents come as standard in this greenhouse. Because the roof is nice and high on this model we include autovents to make life easier and safer. 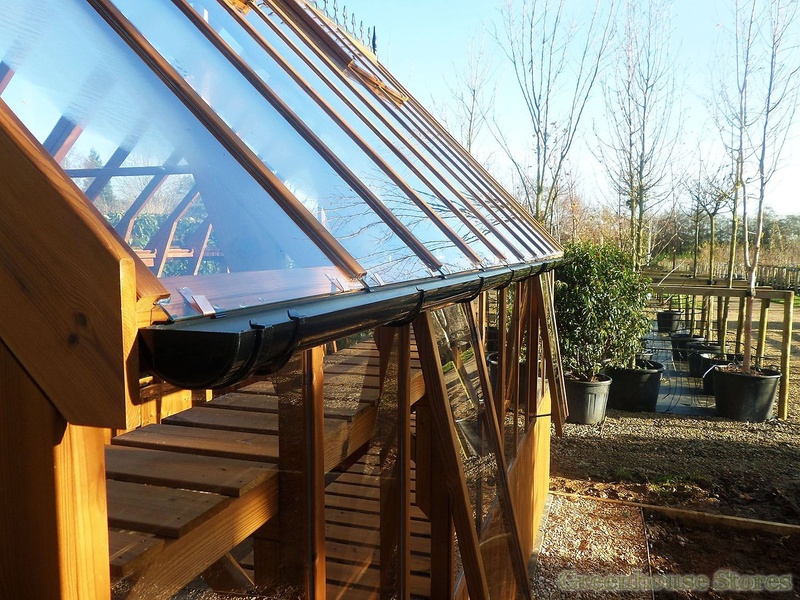 Autovents require no electricity or solar power as they’re filled with wax. As the wax heats up and liquefies the roof vent will open, as it cools it closes, simple! 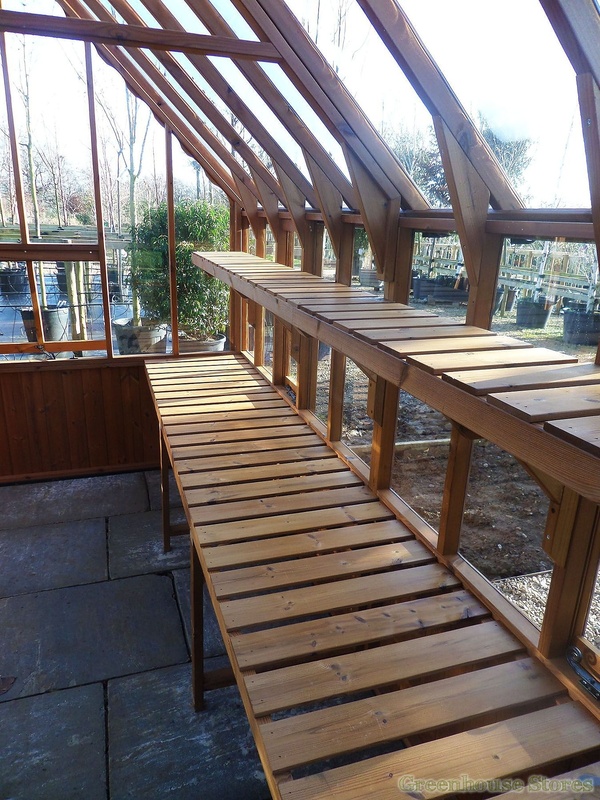 Slatted Staging and Shelving is also a standard feature on the Eagle greenhouse. You get a full length down one side of staging at waist height as well as a full length of shelving at eye height down one side. 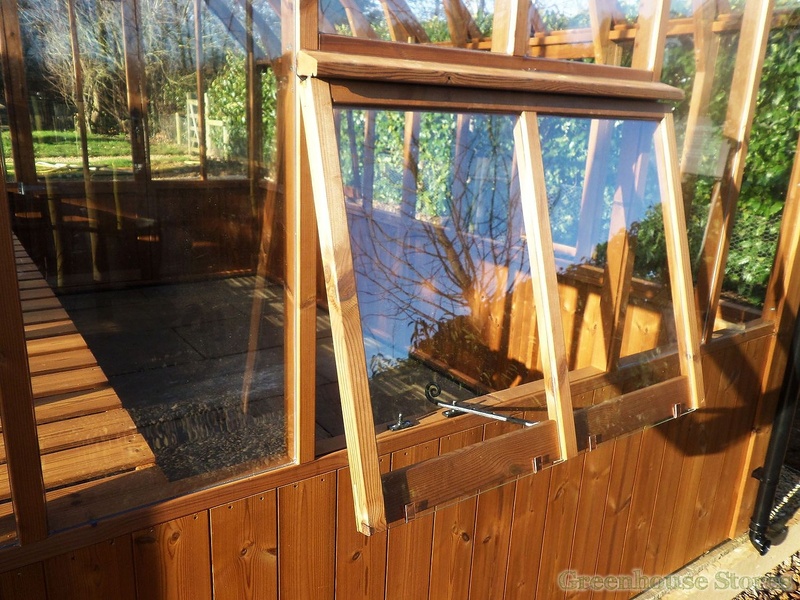 Free Installation is included with every Swallow Eagle Greenhouse. 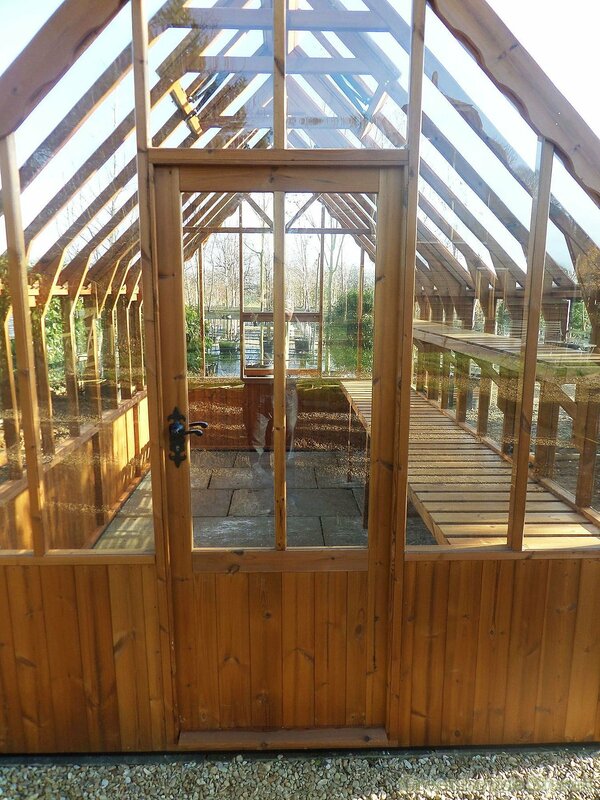 Simply order, pay your deposit and your greenhouse will be manufactured for you, delivered and then installed in your garden. All we need is a solid base of slabs, concrete or strong footings to install onto. 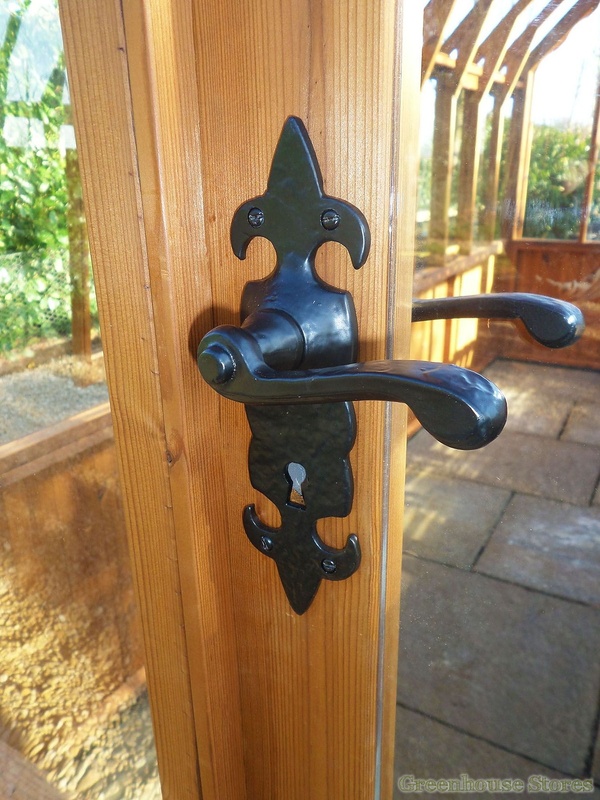 It’s a simple process that works and our customers love it, just read our reviews !